With the MagicCon 3 Mealpackage, a varied selection of delicious dishes awaits you at a super-attractive price. 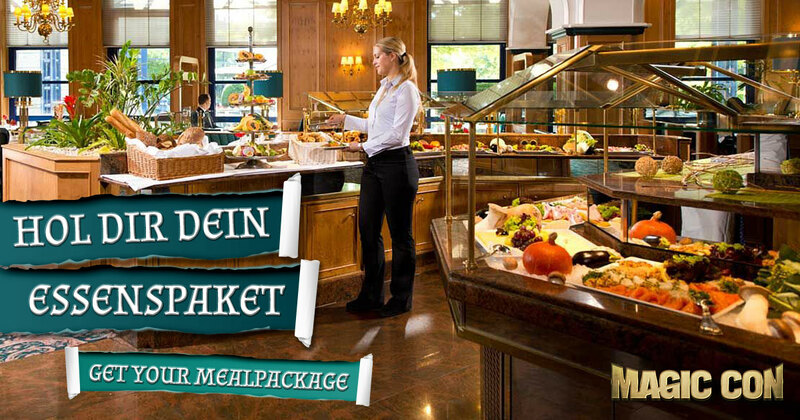 The package consists of 4 x buffet offers (Friday evening, Saturday noon, Saturday evening and Sunday noon) in the restaurant of the Maritim Hotel Bonn – in the midst of the convention world. So you can enjoy the MagicCon program without annoying waiting times for your well-deserved meals or time-consuming travel to external restaurants or shopping opportunities.